It’s almost the May long weekend – which means you might be camping in shorts and T-shirts, wearing flannel and a toque, or a combination of both on the same day. In this blog re-post, Guider Jodi shares how her Girl Guide skills saved the day on a rainy family camping trip. There we were…pouring rain, middle of May chill in the air (not quite spring, not quite winter), camping 100 km from anything – running water, power and even cell phone service. What was I going to do with 14 cold and wet souls? Our fire area was covered and it was the gathering area for everyone, as it is in most camps, and we were all sitting there; cold, grumbling, and bored. I know you’re picturing 14 souls with trefoils on their T-shirts, but think again. This was a family camping trip in the Rocky Mountains of Alberta with a handful of cowboys (and cowgirls!) who were so disappointed not to be heading out on our planned trail ride. I leaned over to my son, and whispered into his little ear “Poppa has a big cowboy hat, pass it on.” He looked at me like I was from Mars, and I nodded at his aunt sitting beside him, and his eyes lit up! He leaned over and whispered to his aunt…and our very first family telephone game had begun! From protecting your feet on hikes and becoming a campfire pro to doing ‘badge work’, Guiding skills always come in handy! Unbeknownst to them, that cowboy family of mine, ages 2-66, essentially spent the day enjoying a ‘Girl Guide’ campfire, singing “Who Stole the Cookie” and playing “I Packed My Bag and In It I Put…” We also managed to coax Poppa to do some camping badge work with our Brownie…but he had to put the blowtorch away and teach her how to light a fire “old school,” that wise old Poppa Owl. On that rainy afternoon the light bulb finally went off in my husband’s head: “THIS is why she does what she does!” and I might have even heard “That was awesome” at some point from more than one brother Brownie or Spark spouse. We had FUN! We had a perfectly wonderful rainy camp day, Girl Guides style. By guest blogger Jodi Paulgaard, cowgirl extraordinaire, Guider with 3rd Airdrie Guides, PR contact and Co-Deputy Commissioner for Goldenfields District in Alberta. Check out her previous blog post, Sparks can Snowshoe! 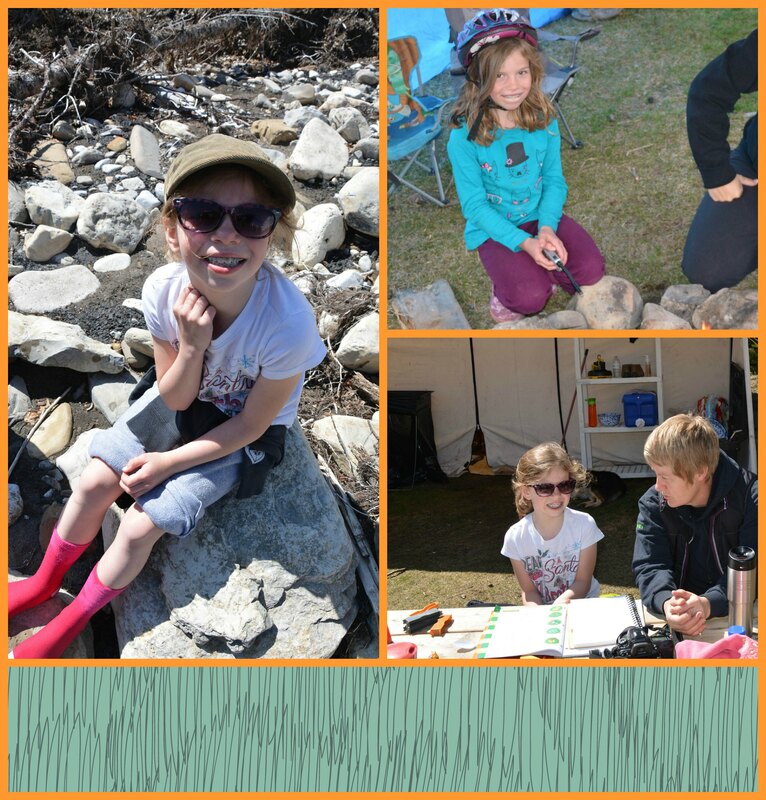 This entry was posted in Camping & Outdoors and tagged camping, female role models, Guider. Bookmark the permalink.